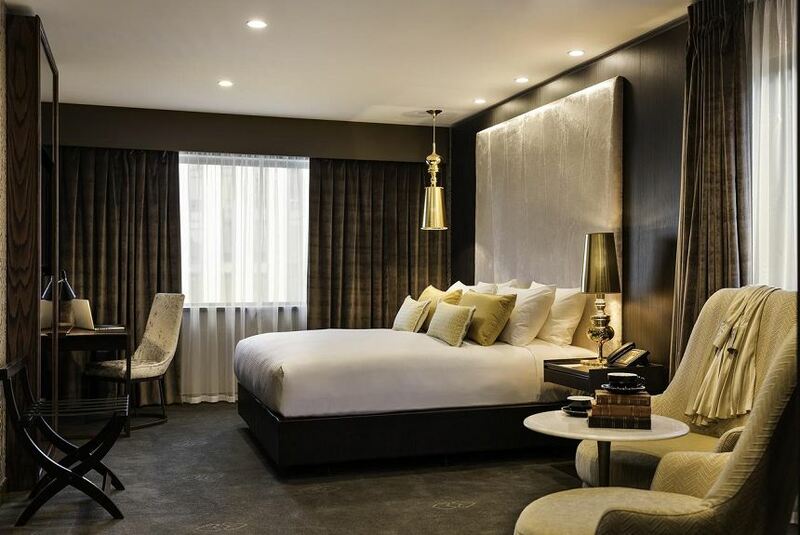 Centrally located in Wellington CBD (Central Business District), Sofitel Wellington offers stylish accommodation with picturesque views of the hillsides and Botanic Gardens. Guests can visit a variety of local restaurants and cafes, within 15 minutes' walk. Beehive Parliament Building is 100 m from Sofitel Wellington, while Parliament Buildings is 300 m from the property. The nearest airport is Wellington Airport, 6 km from the property. This hotel features 129 guest rooms, each with vintage-inspired gold and bronze colored decor and a luxurious rain shower. They offer an LCD TV and a BOSE sound system.